Move aside, Pumpkin Spice Latte. Starbucks has announced its first official boozy coffee drink, called the Espresso Cloud IPA, and the combination of coffee and beer sounds like a dream. The drink is now available on Starbucks’ Evenings menu in limited locations across the country. The concoction is created when a shot glass of orange-and-vanilla-flavored espresso is dropped into a glass of craft IPA beer that’s topped with foamy coffee froth. 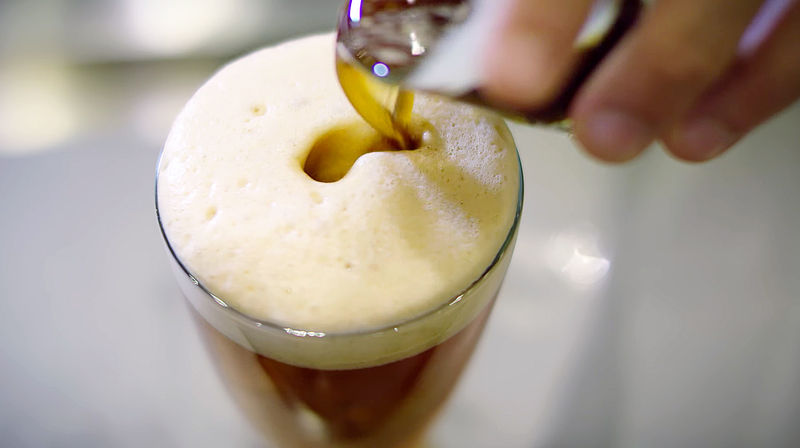 The idea is based on the mixing process for the popular Italian shakerato espresso drink — but in this drink, beer is added into the equation. The coffee powerhouse already serves wine and beer on its Evenings menu, but this is its first original creation that mixes alcohol and java. The drink is the result of a year’s worth of testing.